The Social Media Association and our members came together on June 30th, 2016 to celebrate the 7th annual Social Media Day created by Mashable back in 2010. This is also the second year that the Social Media Association has partnered with Seasons 52 in Garden City to host this exciting event! The night serves as a fun way to recognize and celebrate the great impact that social media has on our society. Since its launch, Social Media Day has grown into a global holiday that is recognized by thousands. Using the simple hashtag #SMDay or #SMDay2016, social media users are quickly and easily share their own celebration or view other celebrations across the world. The event at Seasons 52 in Garden City was filled with laughs, business networking, prizes, and official proclamations. 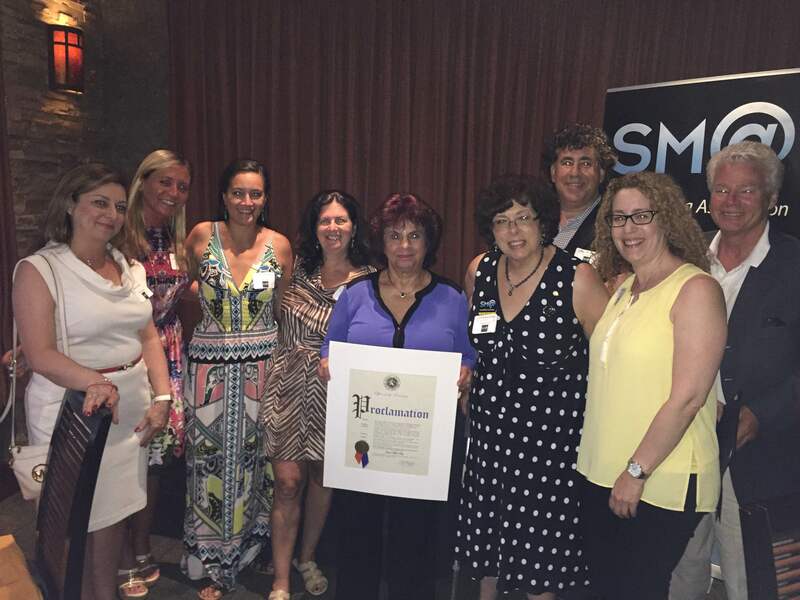 The Social Media Association received two proclamations on this night; one from the Office of Nassau County Executive Edward Mangano and one from the Office of Congressman Steven Israel. We may think that social media day is every day, but thanks to the help of Mr. Mangano and Mr. Israel’s staffers, for the second straight year the Social Media Association was presented with official proclamations declaring June 30th Social Media Day on Long Island. Throughout the night, the Social Media Association and its members mingled while enjoying mixed appetizers, drinks and even a surprise celebratory cake! In addition the night also included several fun raffles with prizes donated by Girl Scouts of Nassau County, Godiva, Author Jeremy Goldman, and of course the Social Media Association. Thanks to everyone who came out and helped Social Media Association celebrate Social Media Day and stay tuned for the next Social Media Association event!